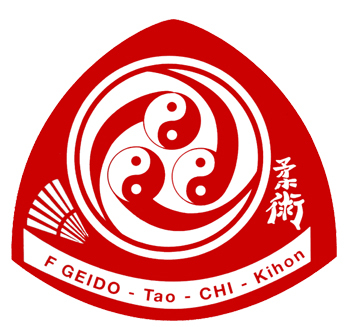 Dear friends, this year again a special group of teachers from within our federation had the pleasure to participate in an advanced training especially held for them. 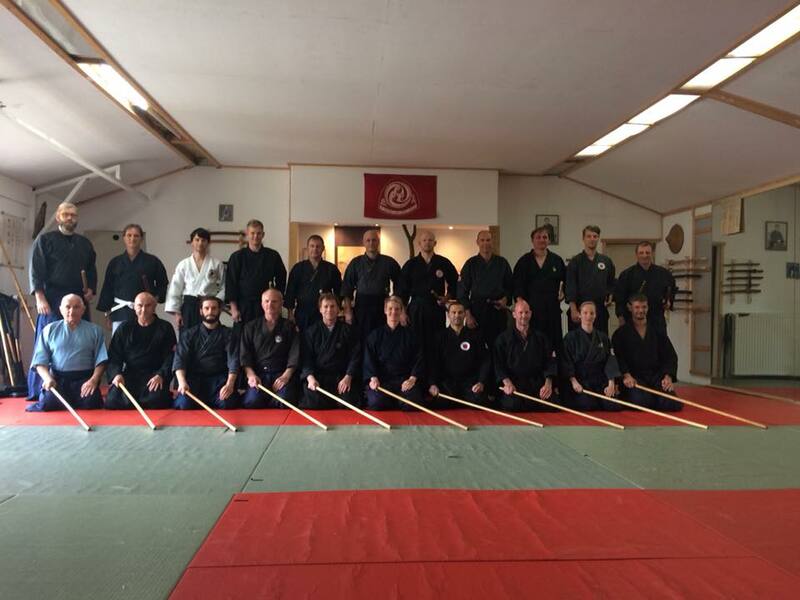 The instructor seminar 2018 took place from 10th to 13th of May and was entirely dedicated to the topics of Kobudo and Jodo. 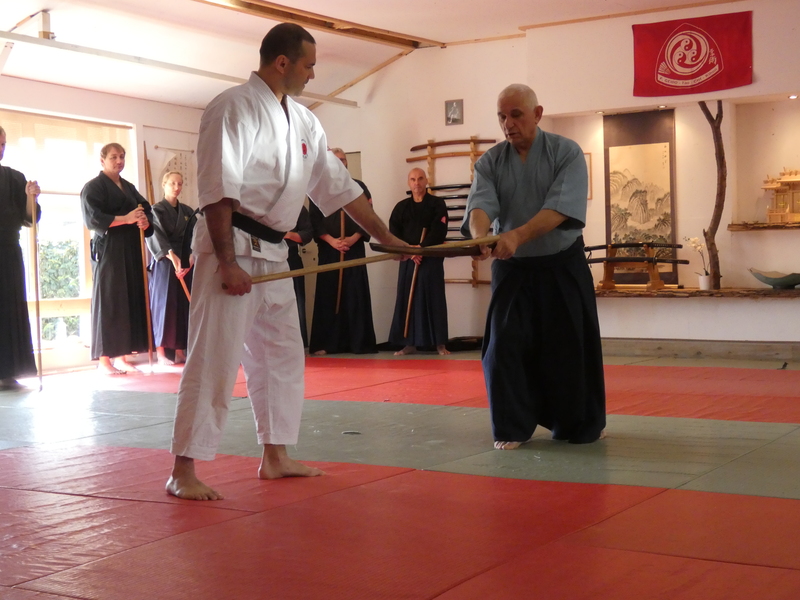 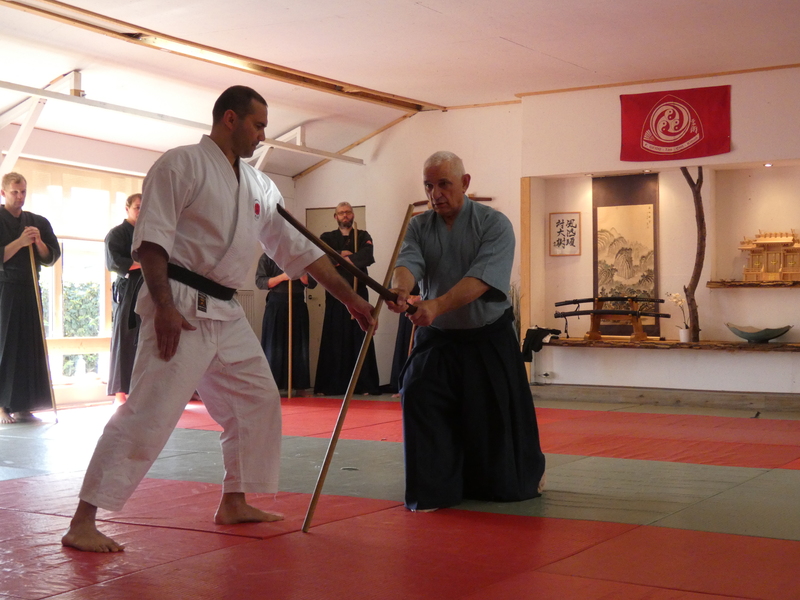 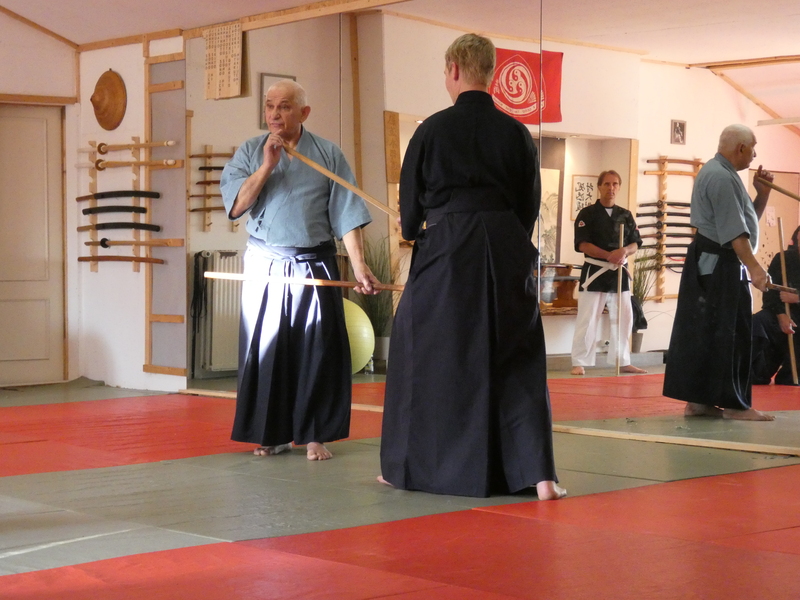 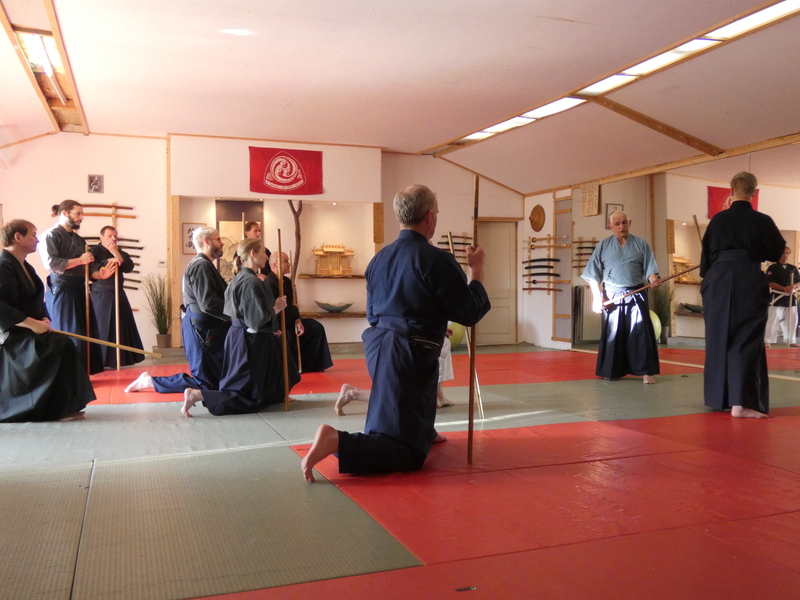 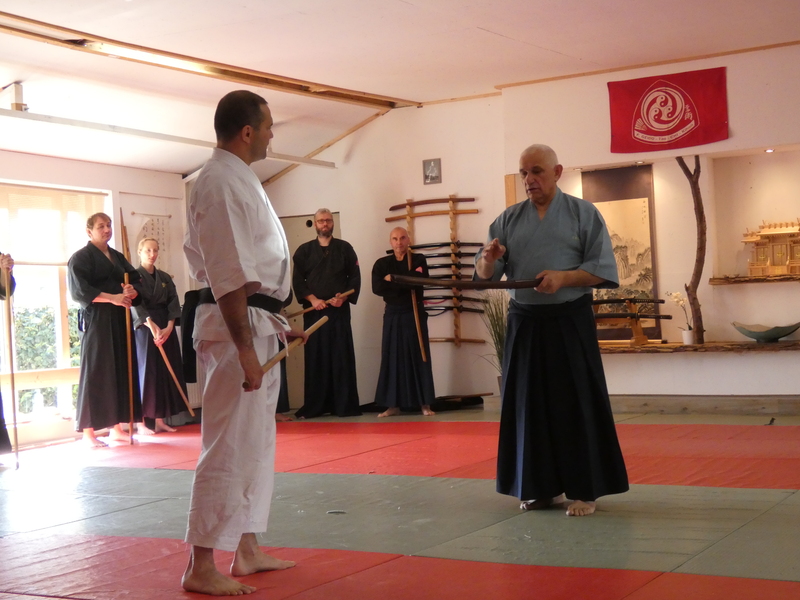 While Sensei Jhonny was introducing the system of Jodo (which he brought home from Japan) to the participants, Shihan Peter Scholz was lecturing on this year’s main topic “Hojo Undo in Okinawan Kobudo and its possibilities”. 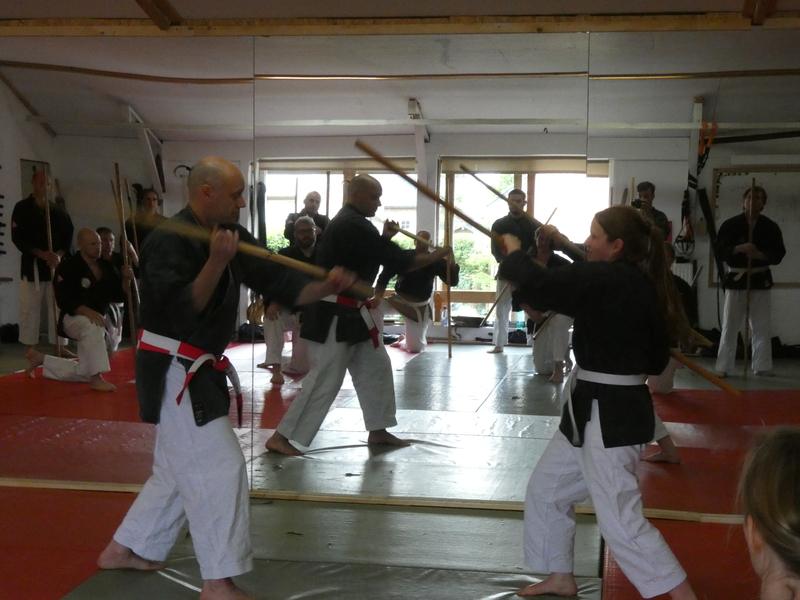 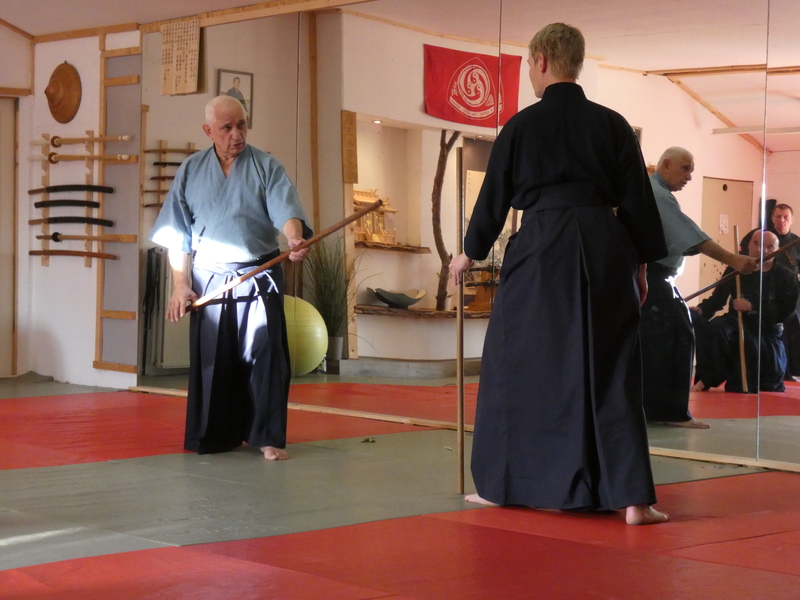 The Jodo sessions where characterized by technical novelties and therefore provided lots of opportunities for us to learn something apparently new, while the Kobudo sessions with Shihan Peter were ought to deliver an insight into his way of training as well as (more importantly) his way of teaching. 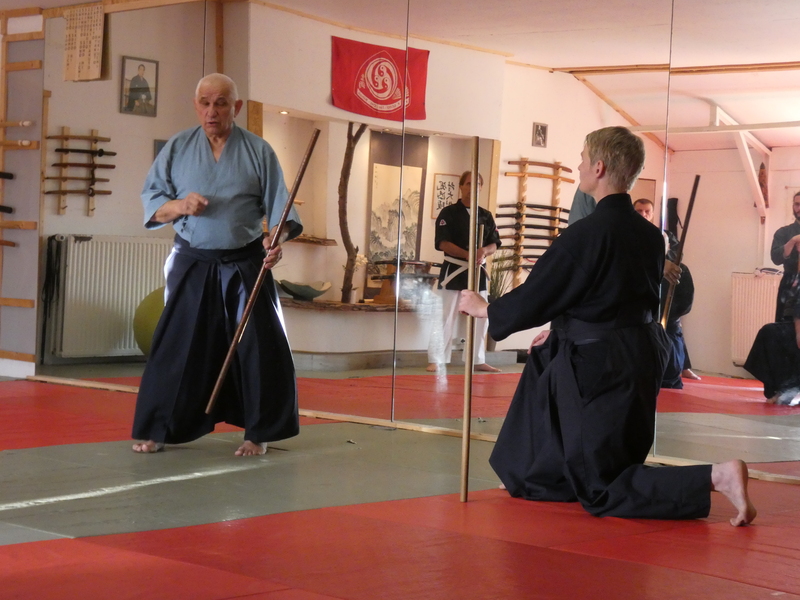 These two last mentioned points were delivered in a very enriching way by Shihan Peter so that each and every participant should have earned a new perspective on the use of Kihon within their trainings back home. 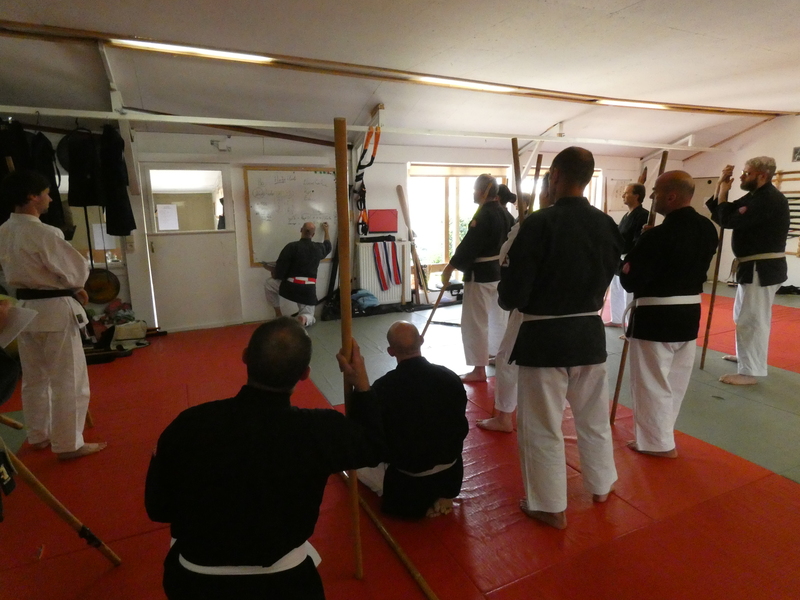 Furthermore this seminar was not only technically and methodically enriched by the teachings of Sensei Jhonny and Shihan Peter but also personally by our Danish friends Ronnie Mølgaard and Shihan Ebbe Kristensen which both couldn’t make it to the seminar during the previous years. 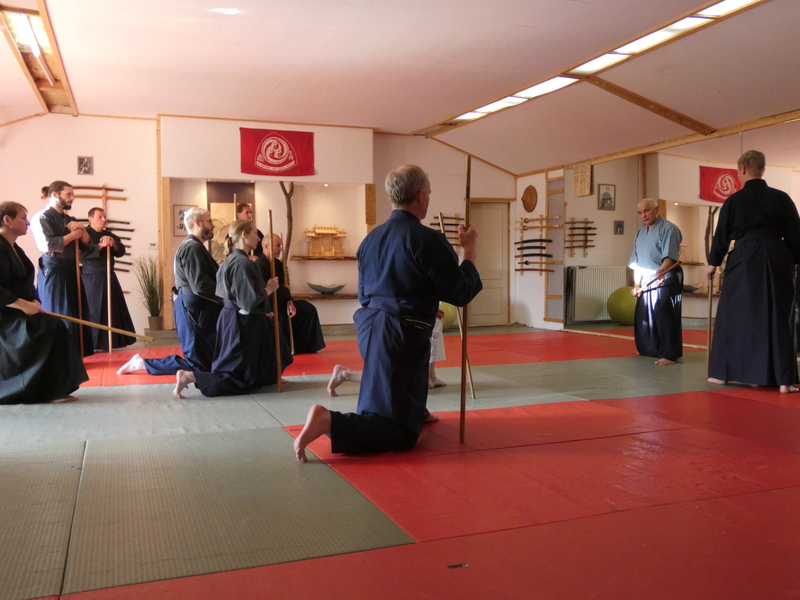 This made it evermore heartwarming for everyone to enjoy the time together. 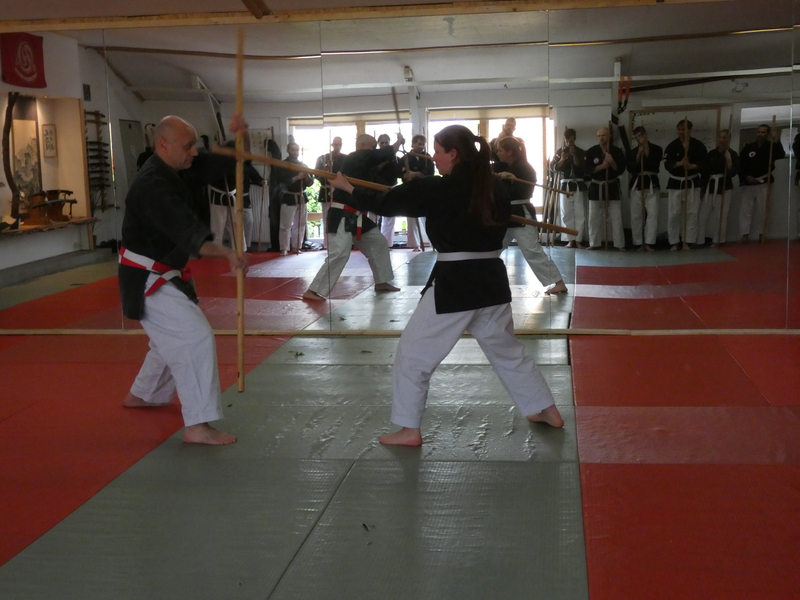 The seminar was also the opportunity for Shihan Kathrin Siggelkow to hand out the menkyo licences that are updated every year and ensure the participants qualification to teach the arts of our federation. 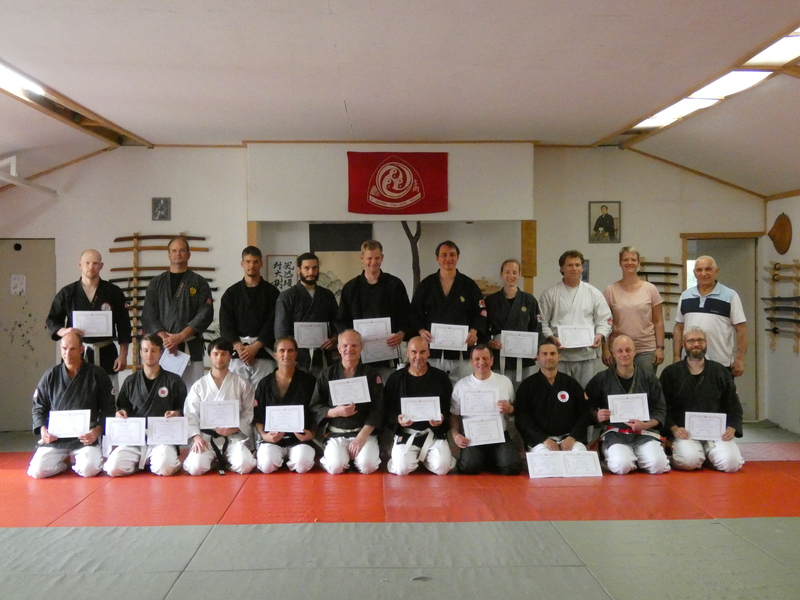 The instructor seminar 2018 was closed by Shihan Kathrin Siggelkow with words of friendship, appreciation and gratitude towards the participants that show the character of this kind of meeting once more.